As busy moms, sometimes we don’t always get the recognition we deserve. Regardless of your Mother’s Day plans, every mom should have the chance to treat yourself! 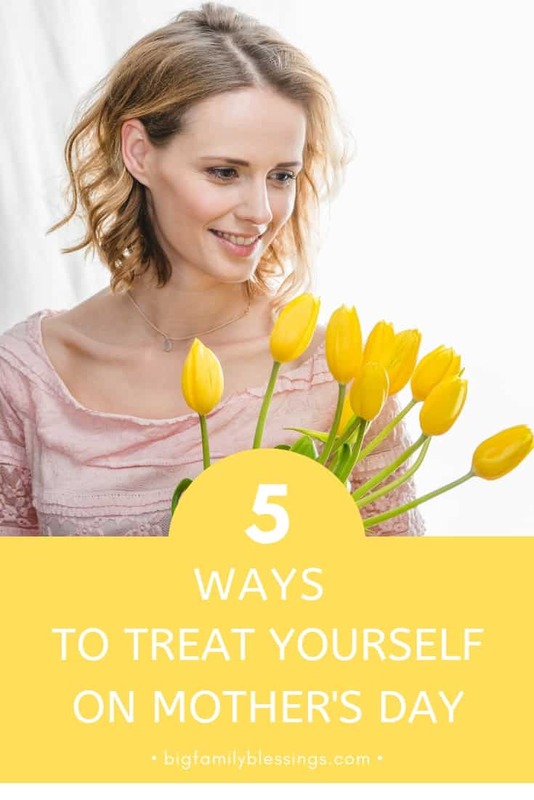 I have put together five of my favorite ways to treat yourself this Mother’s Day, and the ideas range from more expensive treats to even free! 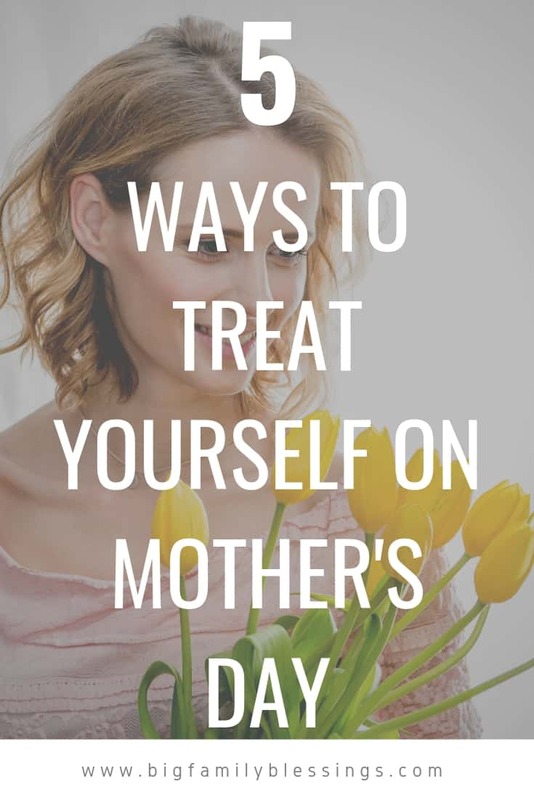 Here are five ways to treat yourself on Mother’s Day. When was the last time you took the time to actually give your car a good clean? Instead of cleaning it yourself this Mother’s Day, why not take it to get cleaned! As a busy mom, we spend a lot of time in our cars, and we don’t always get the chance to clean it up. Many car washes have a full detail service that will clean the inside and outside of your car for under $100! This can be a great way to treat yourself to a fresh and clean car without having to drop a ton of cash. Cooking can be one of the most stressful parts of the day. After a long day, the last thing we want to do is find something for dinner. Instead of cooking dinner tonight, leave the cooking to someone else! Have one of your kids whip up dinner, if they’re older. Or, don’t feel bad about ordering yourself a pizza! It’s okay to leave the cooking to someone else on Mother’s Day! If you want to also get rid of clean up, consider going out to eat. As a busy mom, one of our biggest time-consuming tasks is cleaning the house. For Mother’s Day, treat yourself to someone else cleaning up the home! If you are on a tight budget, consider just having them come clean your problem areas instead of the whole house. Starting with a clean slate is one of the best feelings! Getting a massage or a facial can be a really nice way to relax. If you are on a tight budget, you can make your own spa treatments at home. There are a ton of great DIY Spa treatments you can do from your own home! You can plan a spa afternoon with your teenager at home, or enjoy a relaxing afternoon without the kids instead. When you have kids, you rarely have time to watch the movies that you want to watch! Instead of watching Finding Dory for the thirty billionth time, choose a movie that you want to watch! After the kids are in bed, make yourself some popcorn, pour a glass of wine, and enjoy your own movie night where you can enjoy the movie you want to watch for once. Want to take your movie night up a notch? Why not have a chick flick movie marathon! No matter how you plan on spending Mother’s Day, take the time to treat yourself and enjoy a little time off this Mother’s Day.